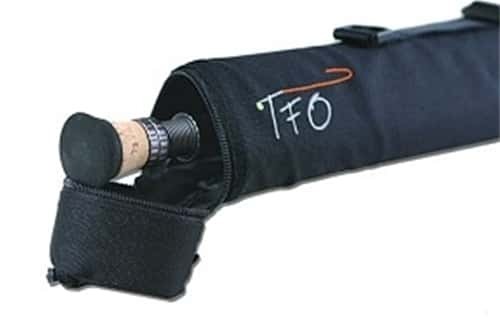 The TFO Trianagular Rod Case is nylon and is 32" long and holds 9' 4 piece rods. Good rod case, protects my BVK. It would be nice if it came with the Rod as opposed to having to purchase seperately.